New Pink City Collection shields you from the usual market chaos and allows you to browse through their amazing stuff at leisure. The collection is very Emporium-like with hand-blocked fabrics, dupattas, wall hangings, lehngas, Jaipuri quilts and bedsheets, kurtas and a world of ethnic crafts sourced from artisans in Rajasthan, MP and Gujarat. 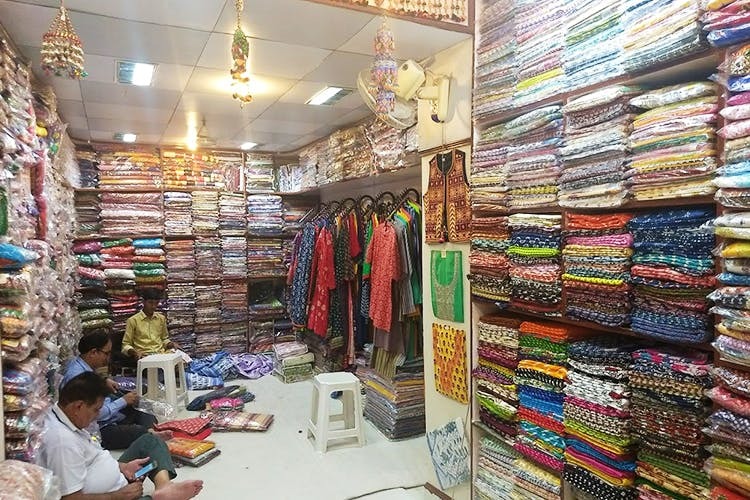 When we chatted with the owner, a sweet, middle-aged Baldev Ji, we learnt that they source everything from across India and from artisan communities that are in need of financial support. Another great thing: Everything the place stocks is below INR 3,000. If you’re a patient (and determined) shopper, every corner is loaded with stuff. From small embroidered wallets and traditional wall hangings to even baby clothes, there’s a lot to buy. So, if the likes of Fab India and Jaypore are too much for your poor pockets, maybe you should make a trip. Want to keep up that hipster score? Make a pit stop at the amazing crockery shop that’s right next door and full of ceramic mugs and plates.